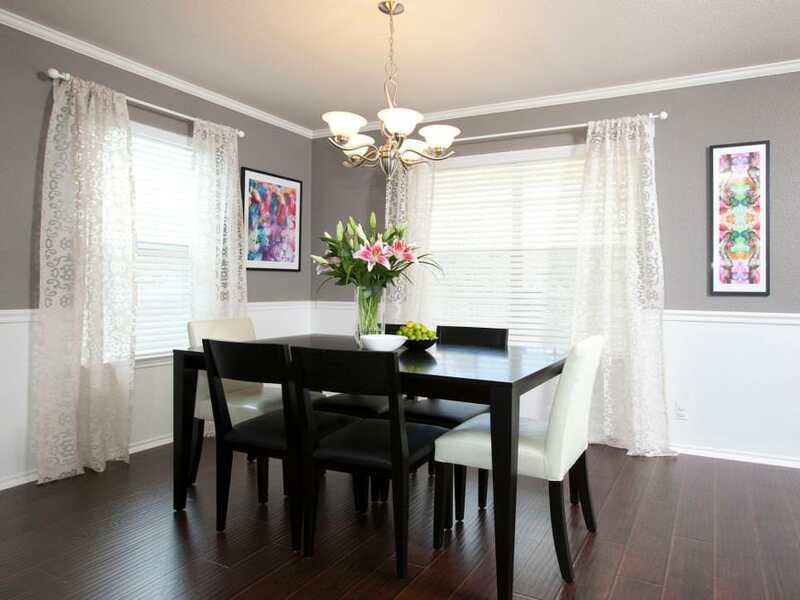 Grey is the right choice for those who look for somberness when it comes to interior decoration. 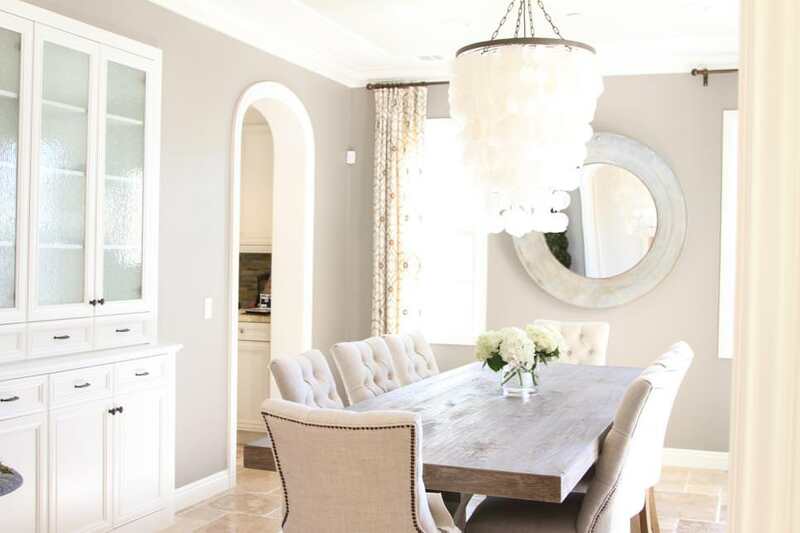 Streamlined furniture matched up with sparkling white curtains will fill up your dining area with a gust of natural light and make it a comfort zone for enjoying a family lunch or even a candle light dinner. 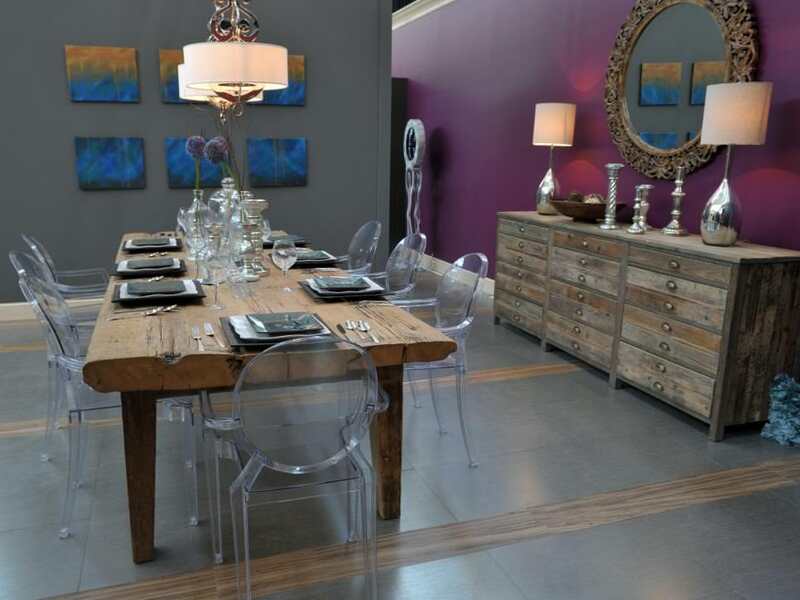 With the grey shade you can really deck your dining area in a most sophisticated manner by adding your own innovative ideas. 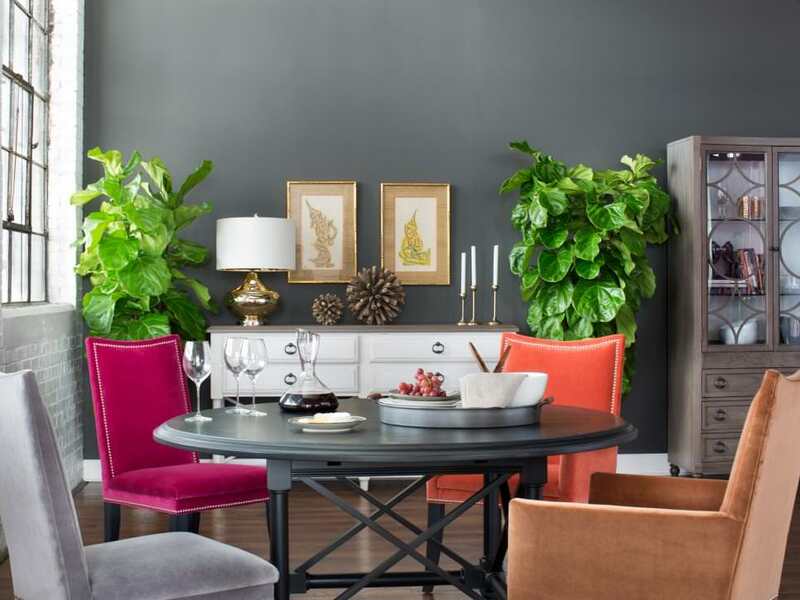 If you want to be a trendsetter in your home decor, try a tone-on-tone mode of coloring of your dining walls. 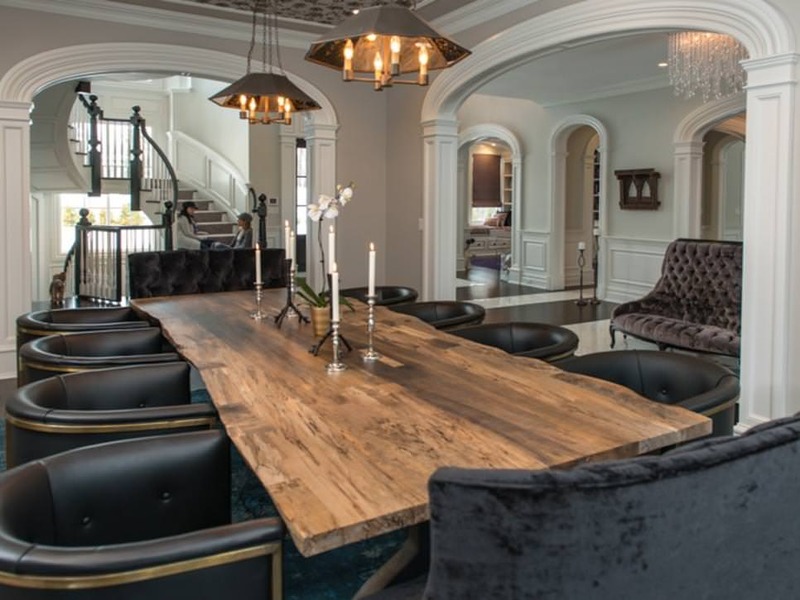 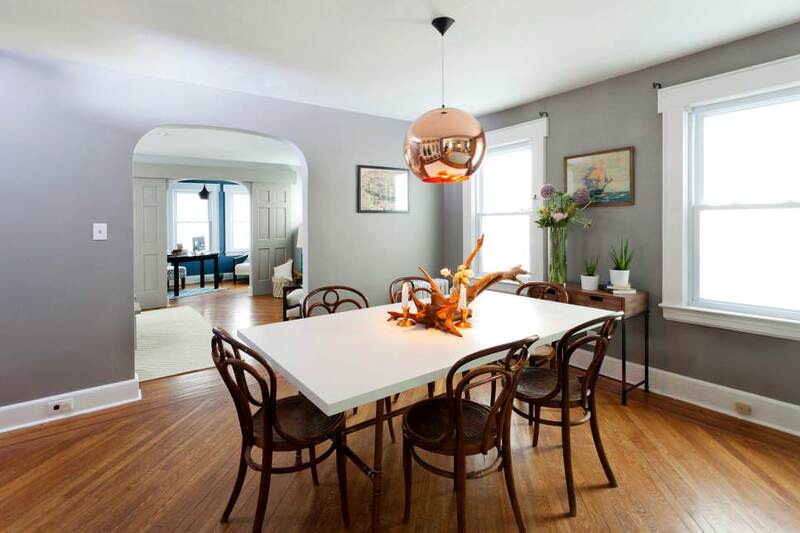 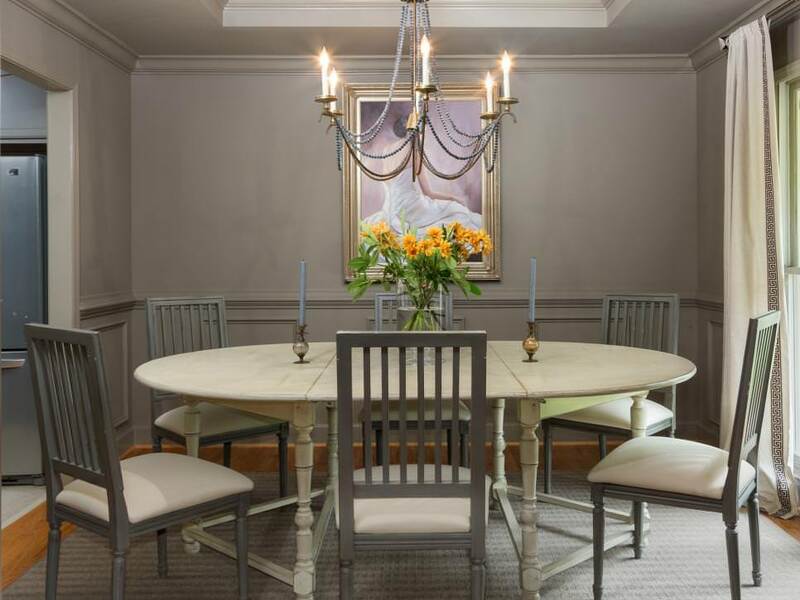 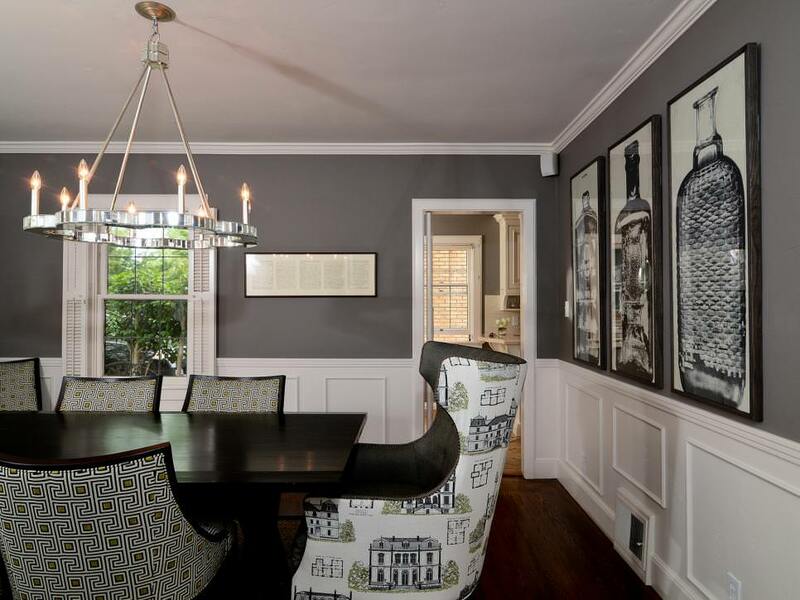 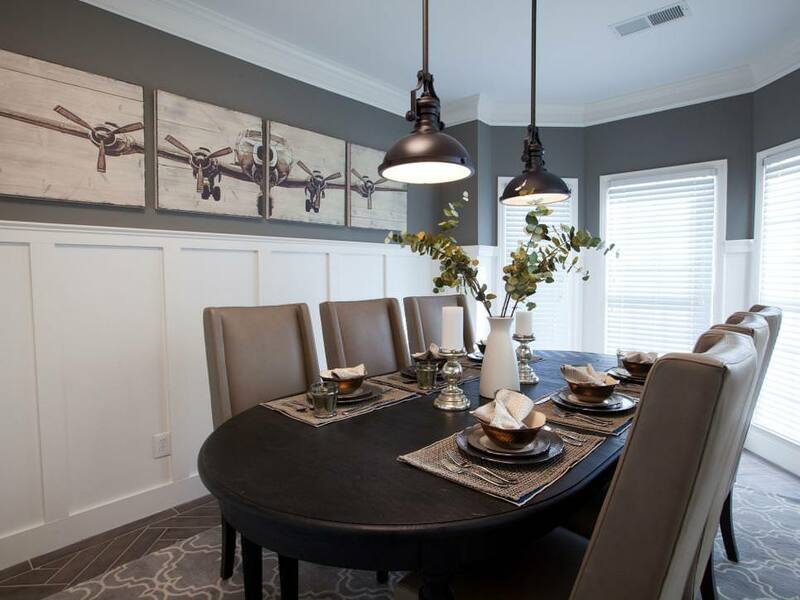 There are many modern techniques to emphasize on the grey color in your dining room. 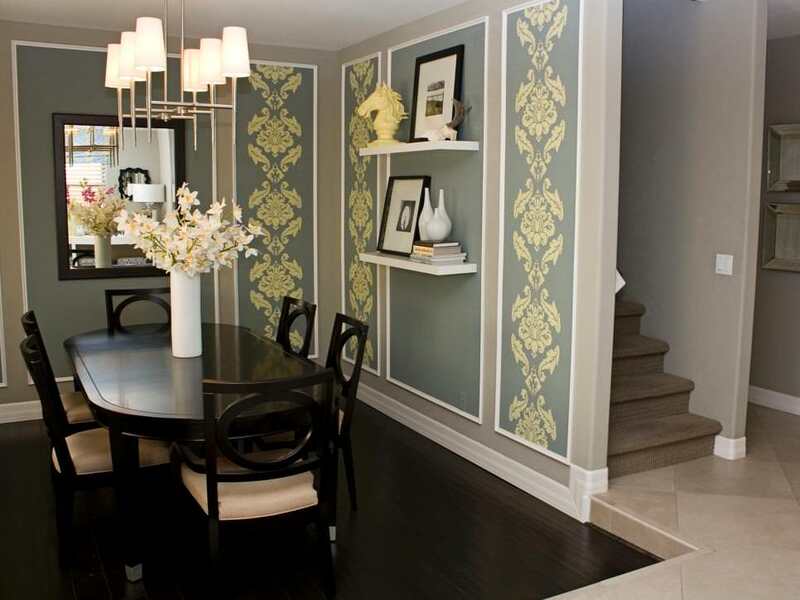 If you choose darker grey stripes on a lighter grey base for your wallpaper it will be a fantastic backdrop which can be accentuated by using bright colors for the other fixtures. 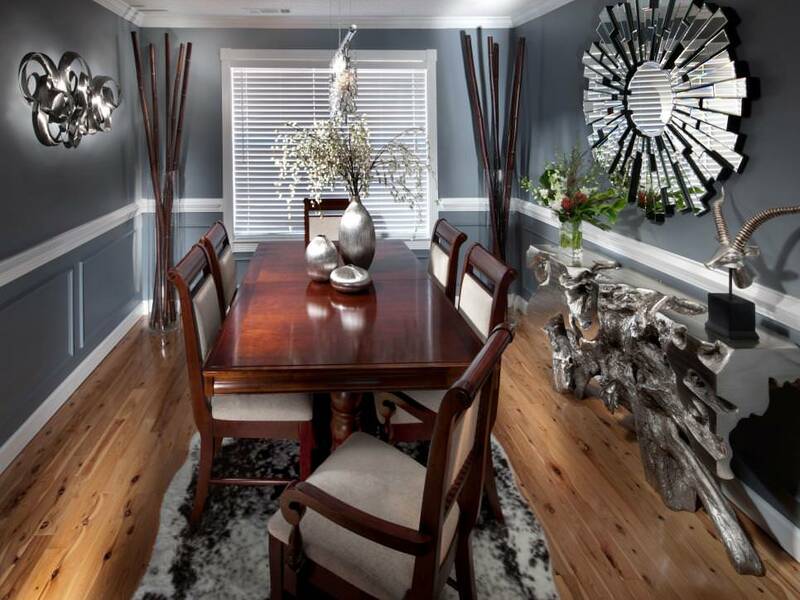 Grey is a color that at times can bring out a kind of visual monotony which you can sever by using white judiciously for enhancing the openness of your dining room. 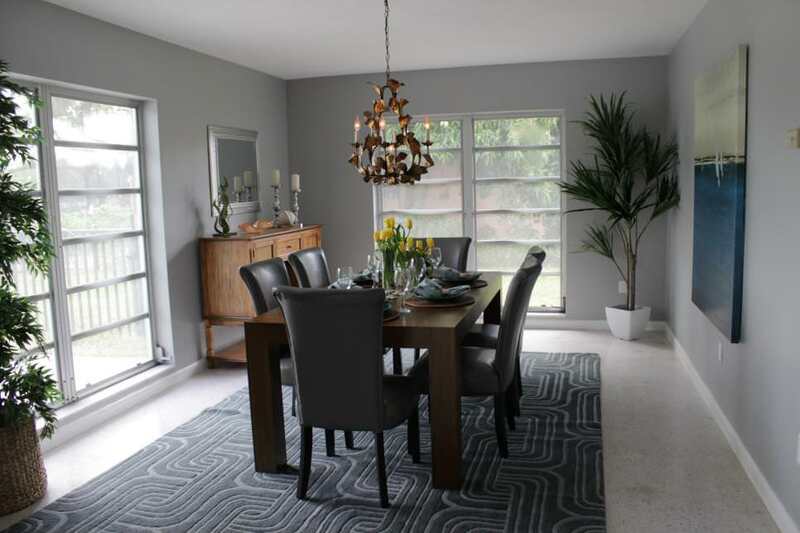 A lighter shade of grey will be perfectly fitting for cold regions as it will reflect maximum amount of natural light. 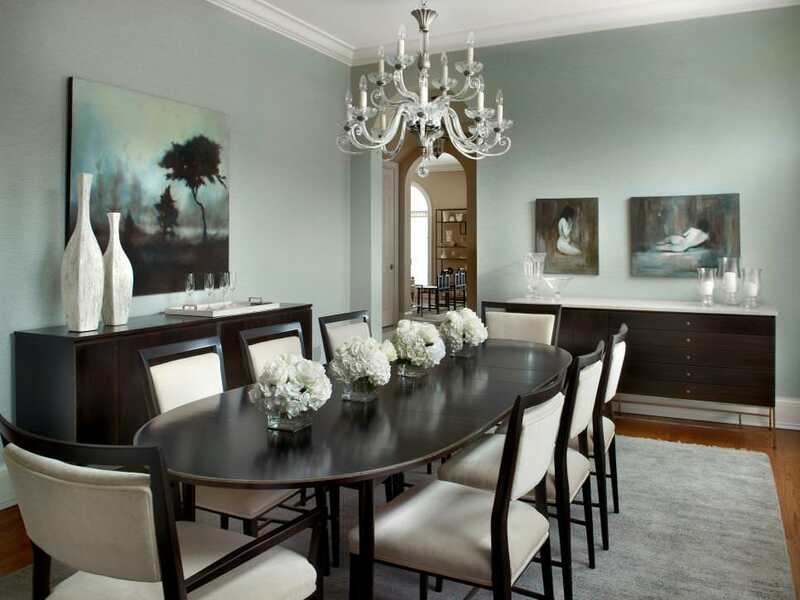 While choosing the darker shades of grey will give a calm effect to your eyes. 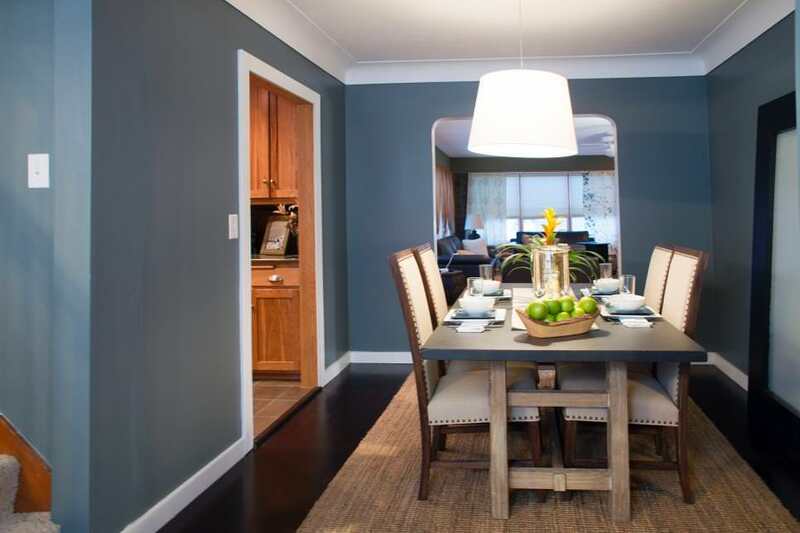 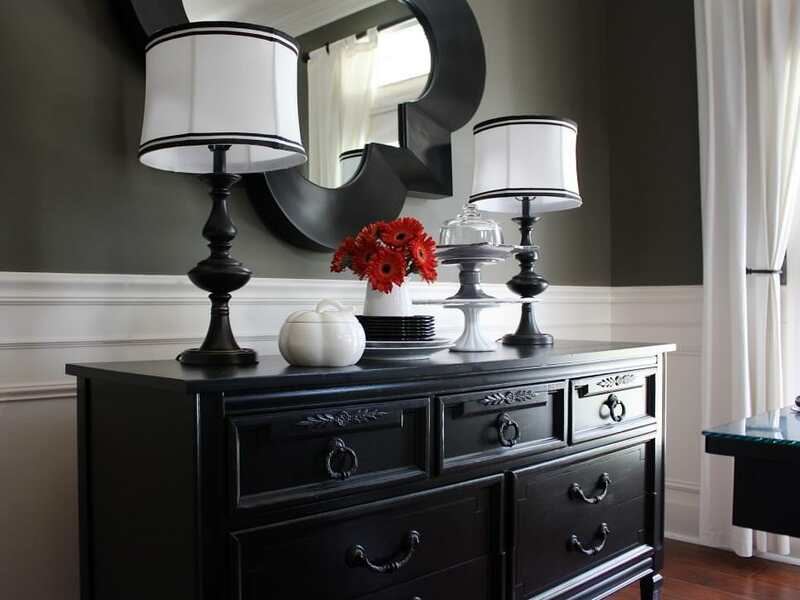 Grey is a color of refinement and class and is becoming increasingly popular wall paint in recent time. 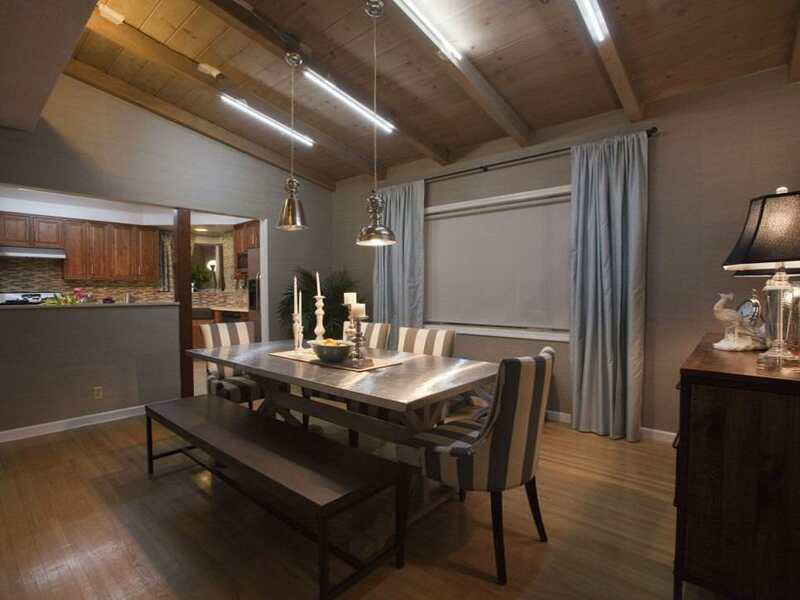 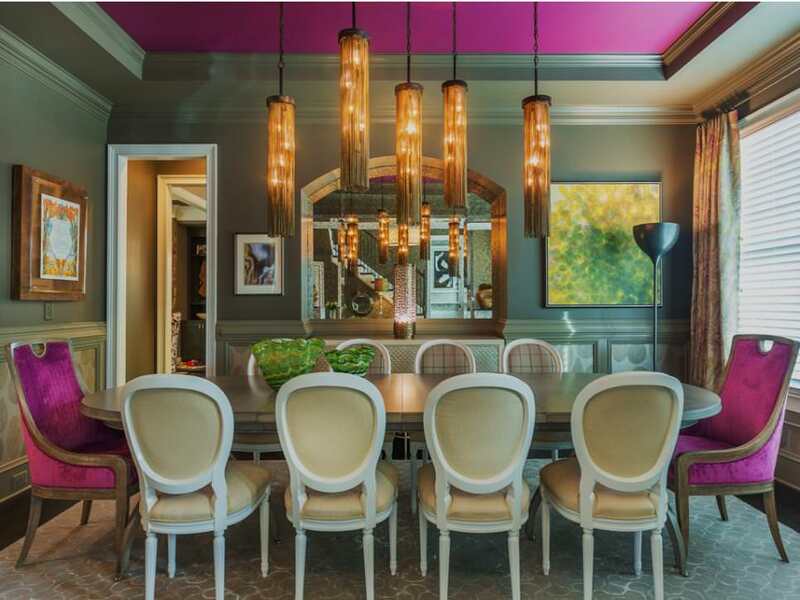 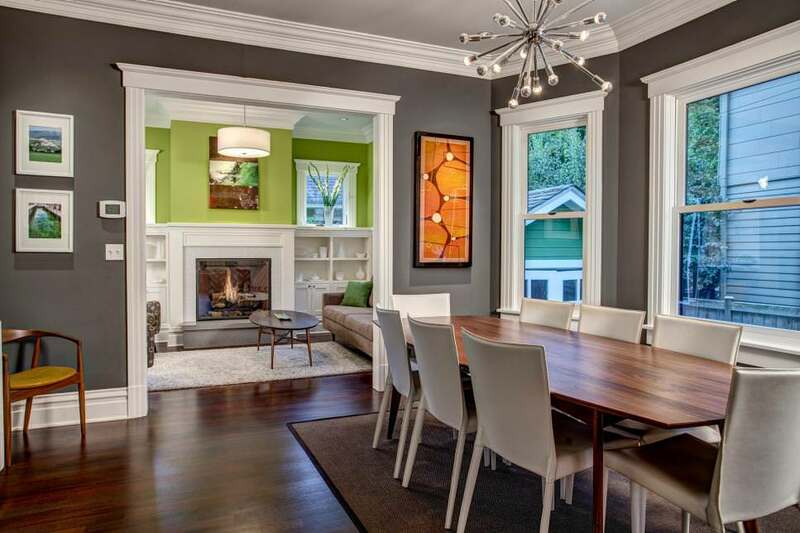 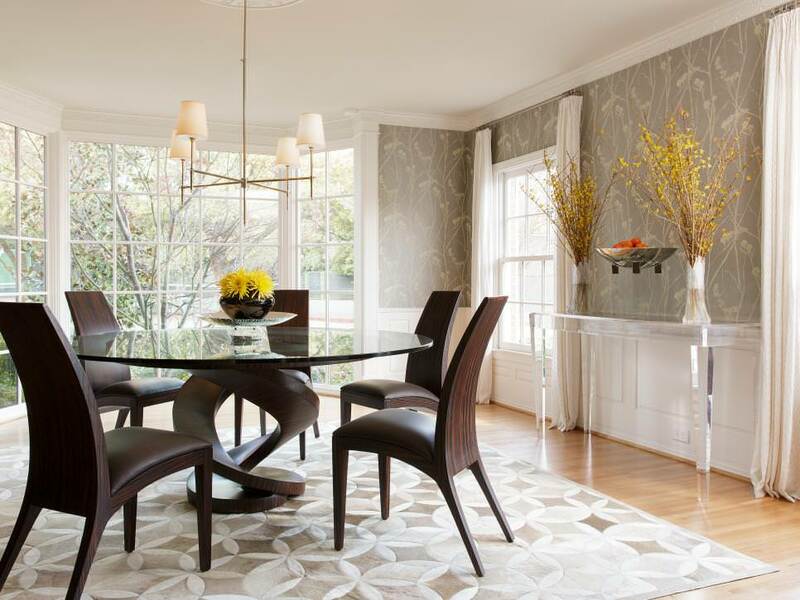 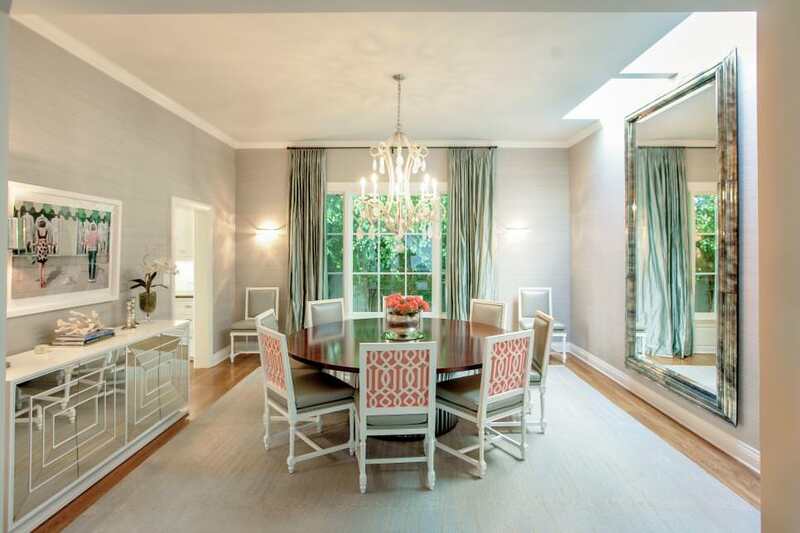 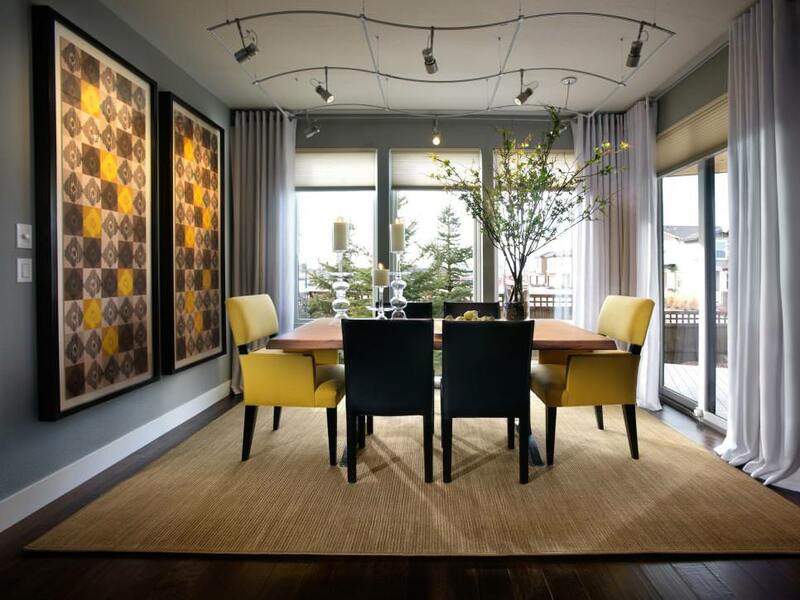 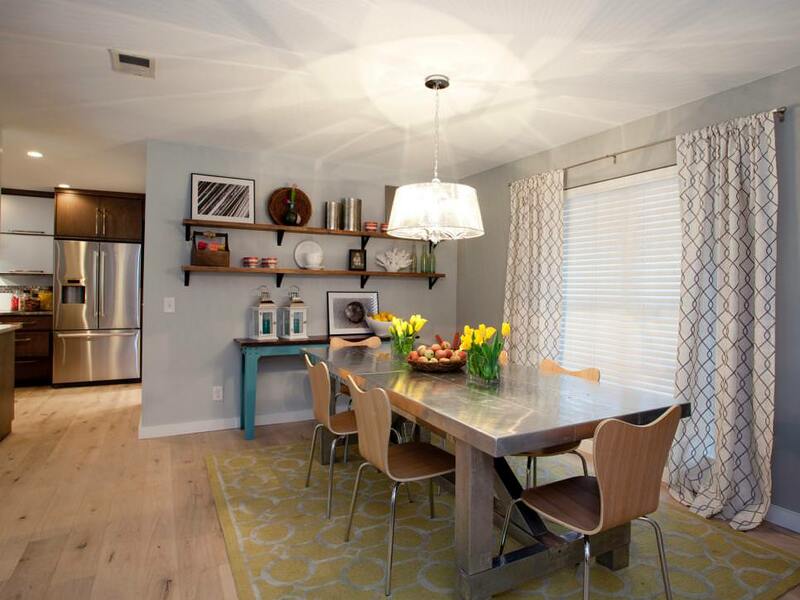 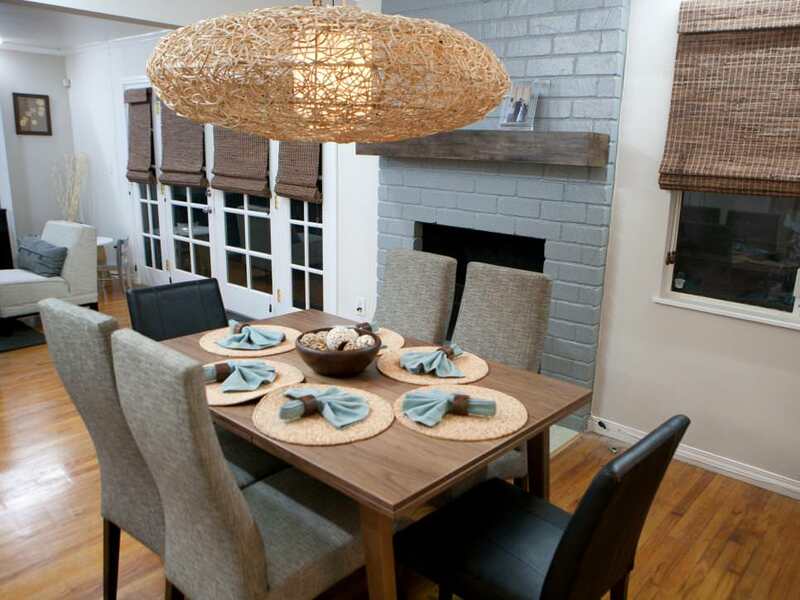 Using a velvety rug or satin drape or even lighting fixtures can bring a complete changeover in your dining area. 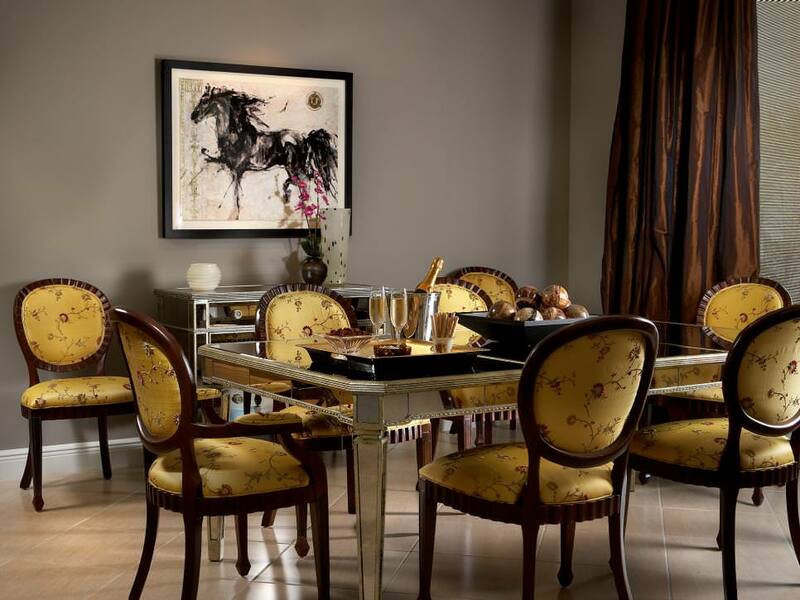 Choose prudently, feast lavishly!